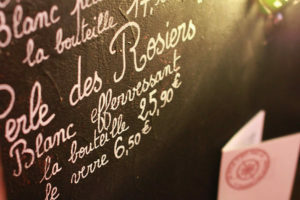 Accueil > Le vin pour les nuls > How to fix your wine list’s prices ? How to fix your wine list's prices ? Tariff setting is very important for your company’s sustainability. It allows you to establish a margin on your sales, but also to challenge competition. 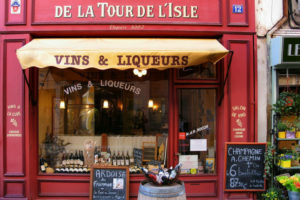 Les Grappes is giving you a few advices on how to set your wine list’s tariffs. We will see simultaneously bottles and glasses’ prices because of the growing spreading of this habit. Before starting, you have to think about the logic of your list. Indeed, you have to offer a sort of complementarity in its prices with a combination of popular wines, high-end wines and more accessible wines. Try to offer a choice at a small price to go with a lunch formula for example : like that, one or two glasses can be opportune thanks to a rather attractive price. Propose also some more expensive wines, perhaps more appreciated, to embellish your list and attract your clients by the quality of your wines. Therefore, a restaurant with an average ticket around 15€ (including taxes) will offer glasses between 4,50€ and 7,50€ whereas a restaurant with an average ticket around 25€ (including taxes) will offer glasses between 7,50€ and 12€, and a restautant with an average ticket around 40€ (including taxes) will have glasses between 12 and 20€. Finally, in case you are a restaurant owner, you have to keep a certain logic in your list by balancing well your wines’ prices with those of the dishes you are offering. There must be harmony in your tariffs. the vineyard : it allows you to identify the wine’s rarity, its flavour’s originality : a castle from a famous vineyard suggests high-end and will be at a more expensive price. the vintage : a wine from an exceptional year deserves an exceptional price ! 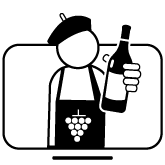 The production method : for example a wine from an organic viticulture is a sign of high quality. The acquisition cost is made of the purchase price, incidental expenses (transportation costs…) and also additional costs. Then comes the time of the cost estimate : it is the product’s full cost on the final stage. It represents the breakeven point : that is to say the minimal resale price not to have losses. To calculate it, you take the acquisition cost and you add costs of administrative, financial, and distribution functions. 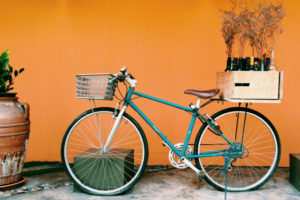 You will have to integrate the wine’s acquisition cost, its shipping, its storage and its service. You will reach then the breakeven point and you will be able to constitute a margin. This step being done, you must proceed to the setting of a sale price. It necessarily has to be higher than the cost price to constitute a margin and make your company profitable. Most of the time, the multiplier is of 5. Tax administration relies on a usage coefficient of 3.5 (excluding taxes), which implies a multiplier of 5, since the VAT is equal to 20% and service to 15%. Thus, a bottle bought 10€ (excluding taxes) will be sold around 50€ (including VAT) to the customer. 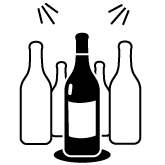 For wine by the glass, calculation is very simple : a bottle can fill 6 glasses of 12 cl. In general, the price is increased from 5 to 10% compared to the bottle’s price. Now you have the average wine selling price, you must also consider in your prices the competition offers, and choose whether to align on the prices, whether to distinguish by selling at a higher or a lower price your products. In conclusion, the perfect price has the following features : it must be accessible to the people you are targeting, consider the competition, and be profitable for your company.